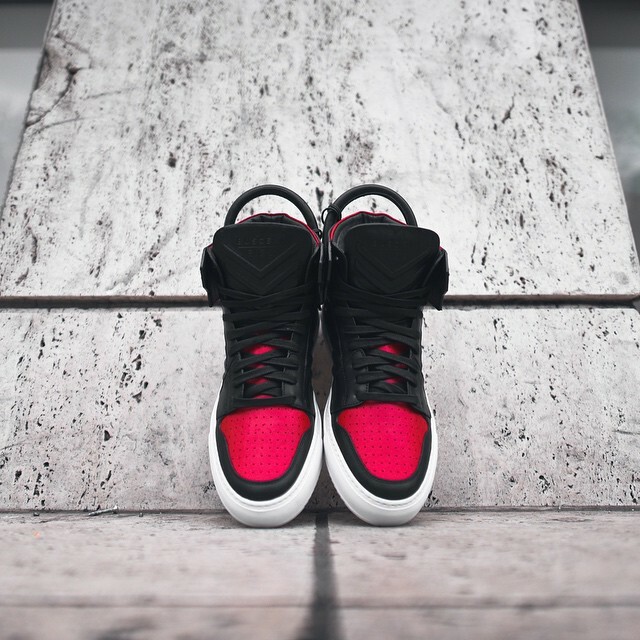 The Air Jordan 1 inspires Fieg's latest creation. Don’t call this a collaboration — Ronnie Fieg linked up with Jon Buscemi to craft an all-new silhouette. 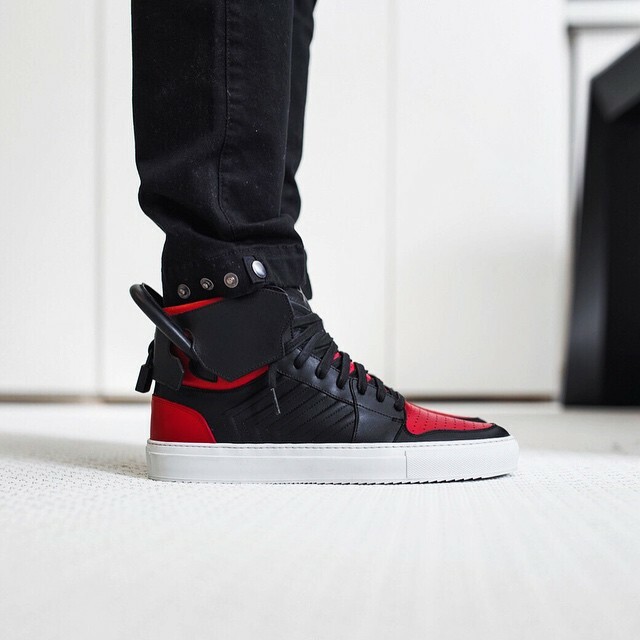 The 110MM is a luxury high-top, presumably constructed of full-grain Italian leather like Buscemi’s other premium offerings. Familiar cues such as the extended heel handle, collar flaps and rubber sole are all in place, while the launch palette has been borrowed from the iconic Air Jordan 1. According to Fieg, the 110MM will launch soon. UPDATE 2/5: Fieg has announced release information for the Buscemi 110MM. The shoe will launch tomorrow night at a Buscemi event at the Kith flagship store in SoHo. An online release will follow this Saturday morning at 11 a.m. EST at kithnyc.com. Retail is set at $695.